Vermont carver wins $50K fellowship from USA. CERF receives its largest gift. WOOD MARKETS: Walnut buyers are clear about what they want. HOW TO BUY HARDWOODS: The process begins by learning the grading rules and sawmill jargon. 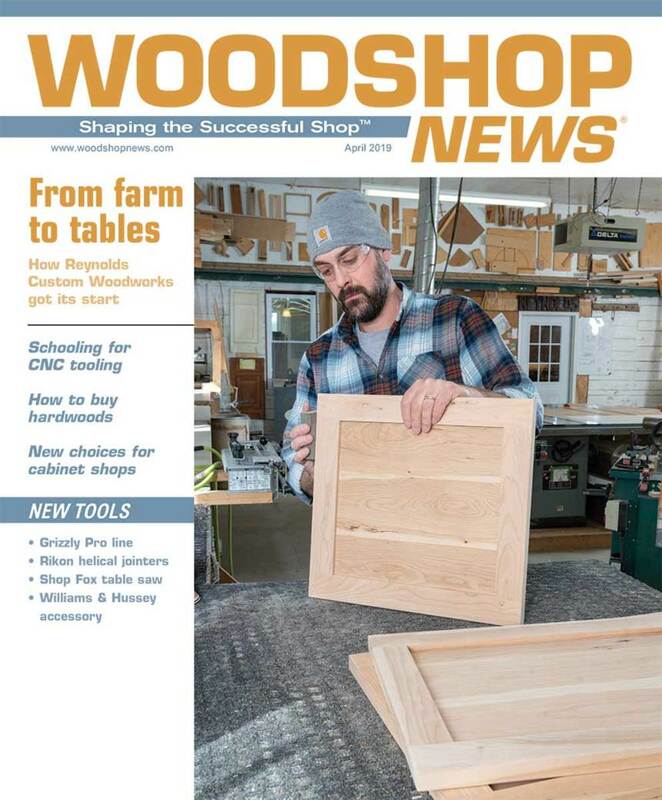 THAT EXTRA TOUCH: New materials and accommodating suppliers open up new opportunities for woodshops installing decorative panels and countertops. Rikon adds jointers with helical cutterheads. Grizzly presents new cordless tool line. New Shop Fox saw boasts dual position rip fence. Williams & Hussey adds Profile Pressure Guide. FROM FARM TO TABLES: That’s the literal origin of Reynolds Custom Woodworks, which set up shop on the family farm in 2001. SO MANY CHOICES: Cabinet shops have an increasing number of options to fabricate, assemble and install jobs. SCHOOLING FOR CNC TOOLING: Cost, durability and accuracy are among the factors involved in sourcing specialized tooling.